Two in-line arranged thermal transfer print units for simultaneous two-color printing in one label. 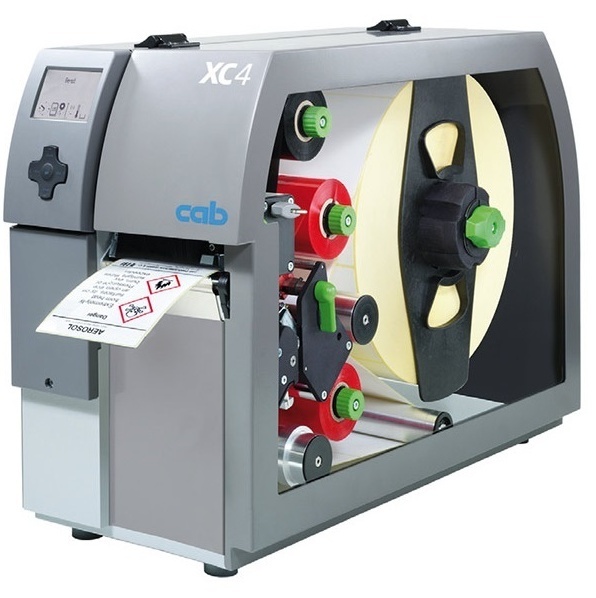 Perforation cutter - for XC4 printers only. Enables the perforation of the material for later manual separation. Stacker with cutter - for XC4 printers only. Printed materials are cut and stacked. The print job is stopped as soon as the maximum stack height is reached. Even stiff or curved materials may be processed. We recommend to have your material tested at our facilities.